There’s something about squirrels that can be the source of love and hate. For many strict birders, having them around means the possibility of them ransacking the bird feeders. Getting past through this initial hate of squirrels, many sees them as cute little furry friends busy burying nuts somewhere in the yard. Personally, I hate them sometimes too. But the more I learned about them, the more I realized how adorable can they be as well. They definitely are seriously misunderstood species. While am generally a birder, I get fascinated with them once in a while. They can be funny and nasty at the same time – more fun, I guess. One day, I decided to keep them and provide them with the best squirrel feeder to see if they finally end their obstacle race to the bird feeders and focus on themselves in their dedicated feeder space. I have friends who would agree against anyone who thinks pessimistic of them only. They can do things no other can do – quirky little animals that bring joy to many. 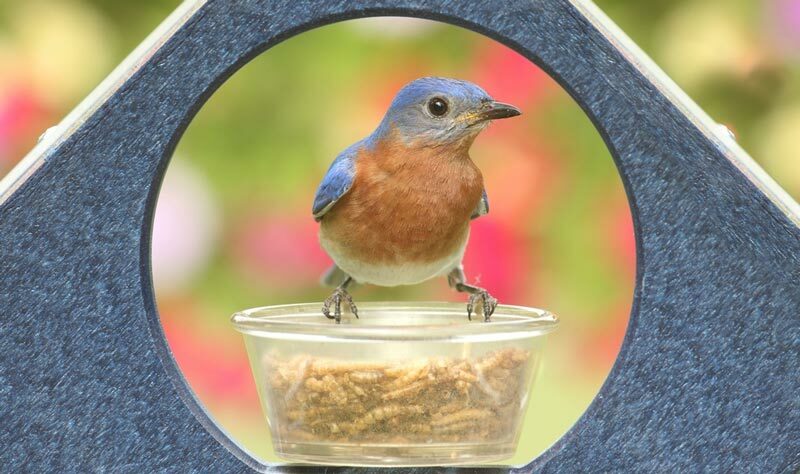 So to take are of this little friend, I compiled few types of feeders to make sure they are healthy, happy and holed up and away from your bird feeders. The thing that is fascinating about squirrels is on how much they love climbing. Once they see a branch, a ledge or a fence, they would use any possible means to get into their target goal – sometimes your bird feeder, sometimes to glob over your left over almond butter. But there’s a way to stop them from uselessly going everywhere. Place the beautiful woodland squirrel outdoor birdfeeder and enjoy watching the squirrels scramble for treats. Since the squirrel décor made of polyresin looks life-like, watching real squirrels eat nuts and birdseeds from the decorative squirrel’s tails is fun to watch. Once the real ones gets the hang of it—seeing a replica of themselves—you wouldn’t be surprised to see them attacking the feeder like they own it. Gifts and décor did an excellent job with the design. Priced generously, the squirrel décor is all worth every dollar. Aside from its almost ‘real’ design and size, I love the fact that it holds a generous amount of birdseed, just enough for a day of feeding. The last thing I want to see are leftover birdseeds wasted and rotten from the dew the following day. 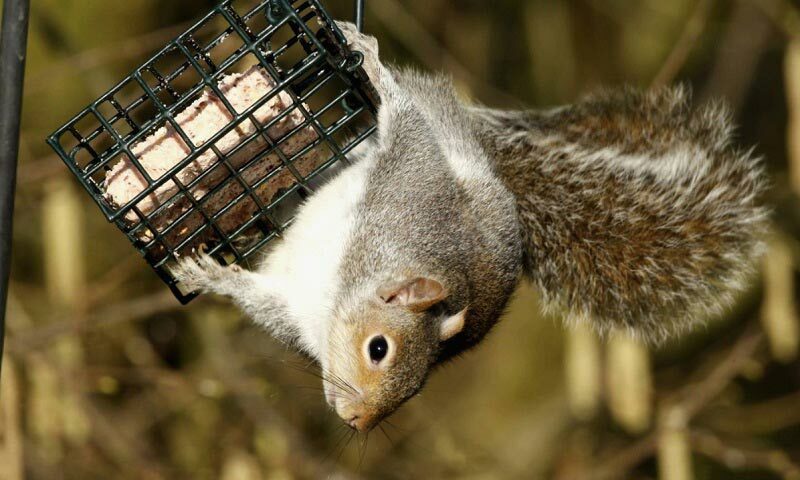 While the feeder lays firmly on a solid ground, it can be a little tricky when ‘real’ squirrels attack. They can topple the décor, spilling all seeds. It is great if ground feeders are around but it still create such a mess. I suggest nailing it, gluing it to the solid ground, or putting some wood to protect it from toppling off. While I like squirrels, I like horses too. They somehow represent a different level of masculinity. Having them in my yard is my faint definition of ‘cool’ and sometimes ‘cowboy,’ a concept not so popular in sunny Florida. 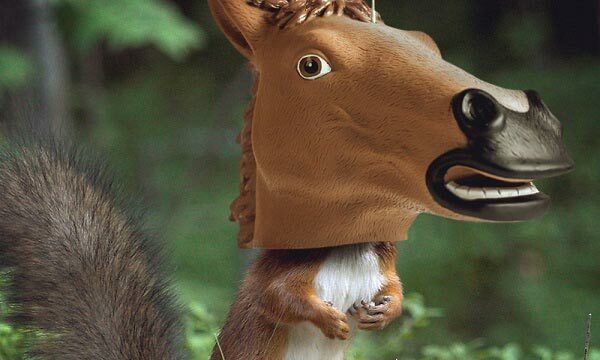 So even if it looks a bit playful and obviously made of strong plastic, the idea of accenting my yard with the horse head squirrel feeder is a great one. 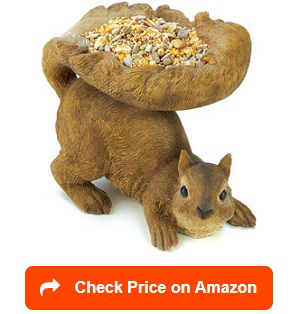 It does not only function as a squirrel feeder but also a hilarious one to have around the yard. What is making this really funny is the fact that the squirrels have to exert a bit of effort to reach the seeds. They have to stand on their hind legs to eat so they look like the little buggers are wearing a horse mask while feeding. That little challenge is great for the squirrels and good for the lungs when it is time to see them reach out for the feeder. 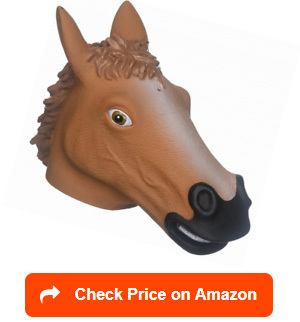 Of course the level of hilarity is depending on where you will place the horse head. It can be anywhere outside hanging on a tree, a feeder pole or even hanging your window. One thing is for sure, it has to be near so you can see it and have a good laugh. Scare the squirrel the first time, and when they are used to it, it is going to be total fun. It is made of vinyl plastic so while it will last awhile, it can wear and tear under the elements. Not everyone hates squirrel. I think that they can be the cutest little furry neighbors. Well, not until they are out and about ransacking your bird feeders. So having the wooden squirrel feeder made by Kaytee is a great thing – you get to keep the squirrels busy while keeping the bird feeders safe. 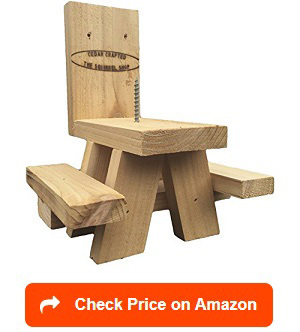 I love cedar wood so that is probably why I am a bit bias towards this product. Still, it does its job of making the squirrels happy. As claimed, it keeps the squirrels occupied most of the time. It is also made of renewable and durable red cedar. Much like other bird feeders, this feeder allows real time fun as the squirrels have trouble figuring out how it works. Imagine the frustration they felt when they can’t their hands on the nuts. When they finally figured out how to work the feeder, they have tons of fun snacking on the mix of seeds and nuts. They literally go nuts and it is so much fun watching them do so. Placing it near the window will provide a great viewing opportunity and it will surely provide minutes to hours of fun while watching them get fed. Mornings should be fun as squirrels can go scramble just to get the first spot. Surely, squirrels are nuts over nuts. And that’s great because their food is probably one of the easiest to find and the cheapest to buy as well. This woodlink squirrel diner has steel covering, which means it is durable and will last a long time. There are two things I like about this feeder: it’s metal and it’s just big enough for one squirrel. The last thing you want is a squirrel party and having to refill the feeder few times a day. Also the green coat is laced with powder to resist chewing and damaging the feeder itself. Sometimes, hungry squirrels are hard to please and they may end up destroying the expensive feeder altogether. And yes, you can easily mount it to a tree adding to that foresty-aesthetic look. I also love that it is roofed keeping the nuts dry when it rains. The only downside is that squirrels may have a hard time figuring out how to get the nuts out. As a suggestion, it is better to place it on a pole, or a more solid object (a fence) so the squirrels have a ledge to stand on when they open the feeder. Otherwise, you will get nothing but the deadly look from the squirrels when they can’t figure out how to eat the treats. I always love cedar. Not because it is renewable but because it gives a very nice vibe. It is also very natural so it adds up to my garden aesthetic. Even my friends and neighbors love it. The cedar squirrel snacker feeder amish is perfect for this purpose. It has large seed capacity, 2.75 kg, which means that it is enough to last few days – less refilling—a chore that can be annoying during the cold months. 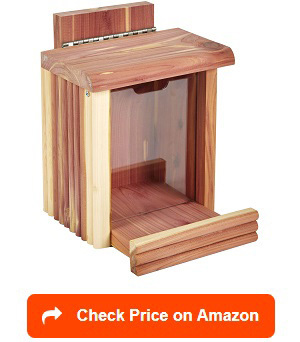 Depending on the type of cedar wood, this feeder, made in the USA is weather resistant so it will last for a longer time. Hopefully, my squirrels will not chew on them when the feeder is empty. Another thing I like with feeder is on how easy it is to mount. Birders have mixed reactions with it. 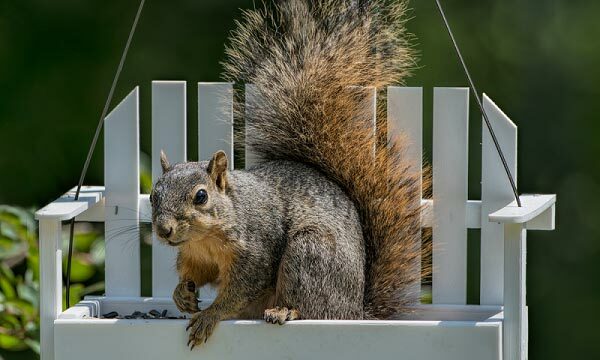 Some likes the simplicity of the feeder while others think that very few squirrels—big gray squirrels—are the only ones that can figure out how the feeder works. 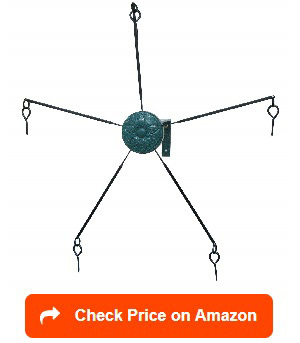 Personally, I think the feeder is worth the try and it’s one feeder you can choose to hang or to put on a ledge. A fence post will be a perfect place to put it. The cover also protects the seeds from rain and other elements. Squirrels (especially when they are too hungry) tends to chew the feeder wood and might damage it. Yes, the product name says it all. And I am in 100% agreement. There are times when you just get fed up with the damage squirrels bring to the bird feeders for one reason – they are hungry! And hungry creatures tend to be desperate and know no rules – squirrels included. Solution: feed them too! 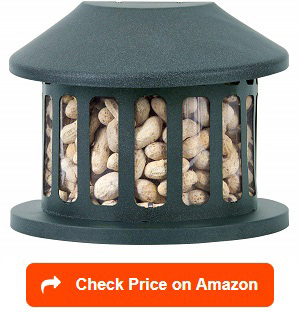 This is the purpose of this durable bird proof squirrel feeder. It certainly solved my problems of squirrels ransacking my yard’s feeder. We are now even friends so get on and feed those furry creatures in your yard. 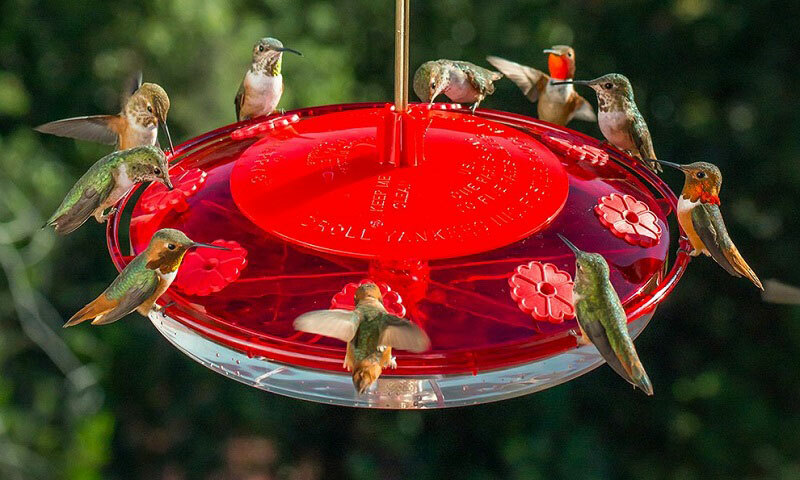 There are two main things I like about this feeder and maybe the reasons why I recommend them: durable as it is made of metal and easy to assemble. Erva Tool and Die certainly hit the jackpot both in design and functionality. I love the little house design. 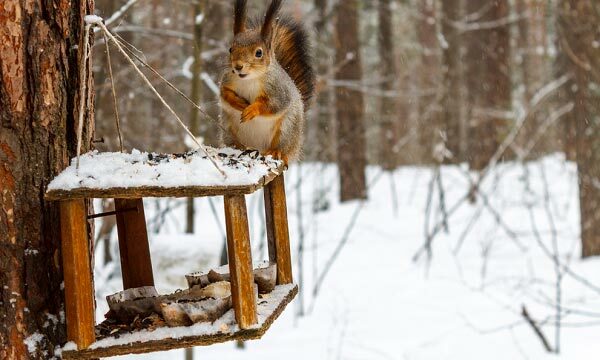 As a suggestion though, it has to be placed as far as possible to the other bird feeders because even if they have been fed, these squirrels does not recognize their own and the birds. On top of that, they are always hungry! While the feeder is on the ‘expensive’ side of the feeder spectrum, it is worth all the price. No wonder expert birders rate it 4 to 5 stars. Simple designs are efficient. While they have some cons, they actually have more pros in them. Just two of them are functionality and practicality. As one who thinks that squirrels deserve their own praises and rewards, I think it is great to provide the little furry friends some good place to eat. This includes giving them a really nice feeder. The outdoor squirrel feeder by Heath Outdoor Products is a great buy. What is really nice about this feeder is the screw in the middle to hold one whole corn for the squirrels to enjoy. This should be a break from their usual diet of nuts and seeds. Watching them feast on the corn cob is as fun as watching birds. What I really like about this feeder is it is open enough to accommodate two small squirrels sharing the corn cob. How cool is that? In my yard, I even see some birds, probably getting confused which one to eat from, lands on the squirrel feeder and peck on the corns. When the squirrels aren’t around nibbling on the cob, the birds can surely have all the fun too. 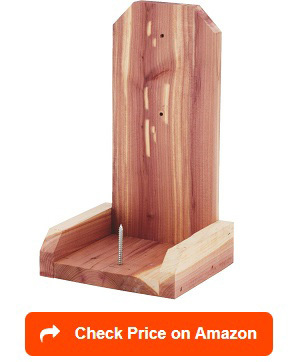 This inexpensive yet effective squirrel feeder is a must buy for people who loves feeding both birds and squirrels. Just make sure it is places a little bit away from the birdies. But while it is a great product, rodents may actually come share in the feeding too. That’s a downside, well, unless you wish to feed them as well. It is funny to see how Songbird creates the most innovative outdoor products – for birds and squirrels alike. I thought this bungee cord is one of those funny creations, intending to give one that endless giggle whenever the squirrels go and try some tricks on feeders. What is it for? (a) to distract the squirrels from the bird feeders, and (b) if you really just like to feed the squirrels. I love the bell, definitely. I jumped out and rushed to the yard just to see the squirrels whenever I hear the ringing sound. 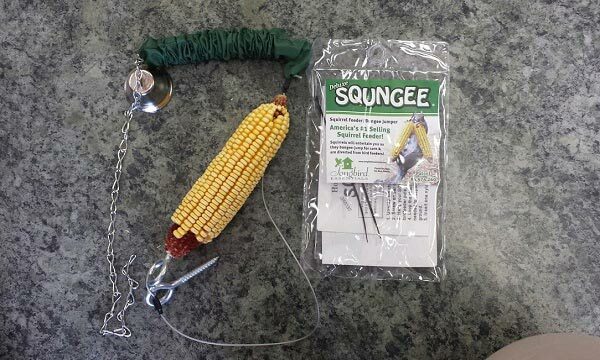 This SQUD squirrel feeder can hold two cobs of corn so it would be nice to have some squirrels hanging and doing acrobats on the rope while eating the corn seeds. It’s simplicity means that it can be installed easily –less than 10 minutes but it brings long hours of fun when the furry creatures are out and about. I recommend this product for three reasons: for entertainment, total squirrel distraction and of course for feeding the sometimes pesky squirrels. After having this, you can never look at squirrels with those angry or frustrated eyes anymore. They do bring lots of fun. 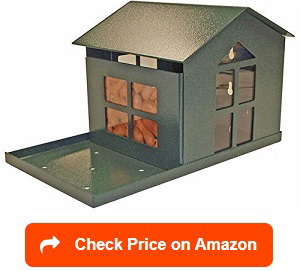 The only downside of this product is when your squirrels hate to jump, or hang on the rope and opt for the easier bird feeder instead. This is a ‘what if’ and on observation, highly unlikely. Another good thing is that it does not require cleaning. Easy to install. Just hang on a tree. Want to give the pretty rodents their own party space? Then the picnic table squirrel is probably the most decent, more humane kind of squirrel to date. Made by the Squirrel Shop, it sure is giving the furry friends a time of their life. This playful, fun squirrel feeder is worth every video on youtube. Watching several squirrels (their families and friends) share on a corn cob is not only fun but it is full of human symbolism. Do they share equally, mostly yes! Watching the squirrels have their own breakfast at this tiny table set up never fails to give me a reason to smile, and so will you. The scene plus its pretty design, made up of freshly cedar adds a lot of character to a bird yard. Because it is an open feeder, there is no problem for the furry-rodent-birdseed-stealing creatures to find it. It is definitely an endless fun to see all of them seated around a table, sharing their meal. The only possible problems are: the cedar is not fully protected from the elements: rain, snow and wind and it’s too open you might need a great supply of dried corn cobs. Surely, there’s nothing more fun than getting back at those pesky squirrels after years of tackling, ransacking and ultimately damaging your bird feeders. The woodlink squirrel go round will give you that kind of satisfaction. Well, that is if you hate squirrels. I say otherwise. This feeder, the 5560 Squirrel Feeder is a fun way for the squirrel to feast on corn cobs one at a time. The product has five skewers that allows a rotation of corns which squirrels can enjoy. Depending on the location, some squirrels can share feeding time as long as there’s a ledge or a fence they can stand on. What I like about it, aside from being trendy, is the fact that it is made of cast aluminum, which means it is sturdy to hold the hanging squirrels (sometimes) and the corn cobs. Watching the squirrels devise ways to be able to eat the corn is fun. Make sure you hang it in a place they have something to hold on to or let them suffer a bit by leaving it hanging on a tree, and watch them be creative. Birders rated it as five and some even call it “squirrel Olympics” as the fast rotation can make them miss or hit the jackpot—a hold onto the corn cobs. Entertainment value alone is a sure hit. Like birds, squirrels are fond of seeds as well. Nuts can top their favorites but they can live on any other seeds without a problem. Being a birder, I know that squirrels will never be far away. While they can be annoying at times, they can also be the most fascinating creatures to observe either in their natural habitat or in the middle of your bird yard. These furry friends will surely bring in hours of laughter for the way forage for food, their acrobat moves and their resilience in looking out for treats. To start having real fun, you must choose a great squirrel feeder that will allow them to do their own business without distracting the birds. There are many types of feeders. Depending on what do you want for them, there can be funny ones and there can be obstacle courses. Wood-Based Feeders. Squirrels live in the woods, their natural habitat. They will even start chewing on wood whenever they feel like it. 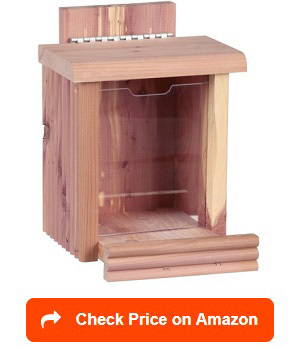 So one way to give them a natural feel is to give them a feeder that is made of cedar or any other wood products. See products from the Squirrel Shop and enjoy loads of fun using their products. The downside of these products generally on how they can withstand the elements: rain, snow and strong wind. Metal-Based Feeders. Yes, there’s a way to get back at these pesky rodents. Create a challenge before they can even get a hold of the nuts and seeds. It is fun watching them try everything before they can figure out the ways. Once they did, your fun is over but the feeders will last a long time so it will still be a good buy. Funny Feeders. Squirrels have this natural way of entertaining people. Let them do acrobats, play around the feeder and have a ton of laugh while they are at it. Some feeders like the bungee jump and go-round will give you exactly that. Seed Feeders. Okay, these are special containers of squirrel seeds. It will be great to have them and keep the squirrels away from the bird feeders. They can be made of wood or metals – the choice is yours. 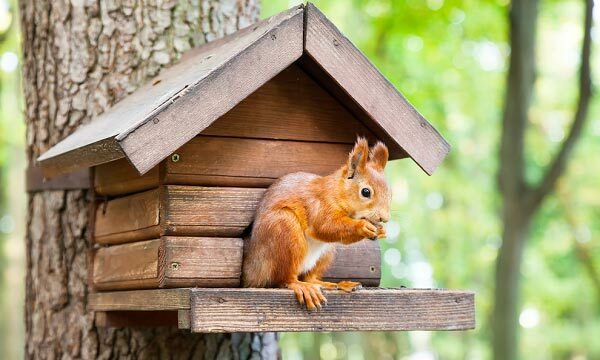 As much as birds, squirrels deserve their own space in your backyard. In fact, they might even bring more fun especially when the birds are out for the season. There are some benefits of giving them their own treats. Stop Squirrel Wars. Inviting them to dine at their own feeding station will end your war with them ransacking and stealing your expensive birdseeds. These little furry and entertaining friends will bring you tons of fun depending on what feeder do you want to install. Distract them. 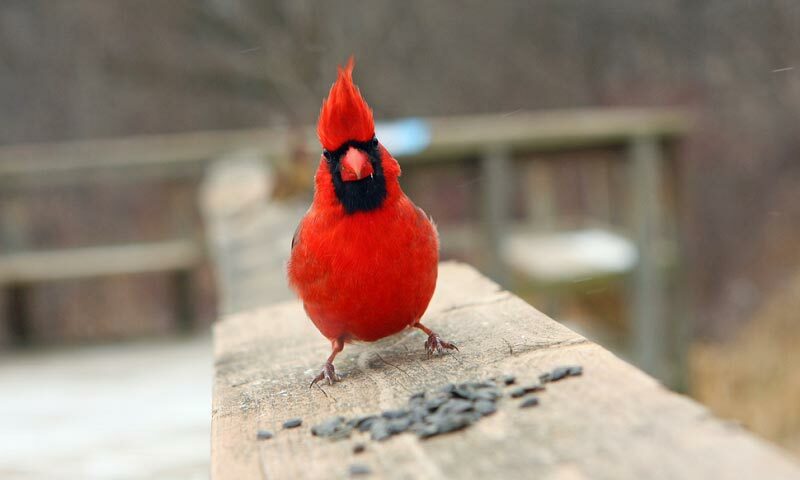 Obviously, you do not want them on your bird feeders so you drive them away from it and on to their own stations. 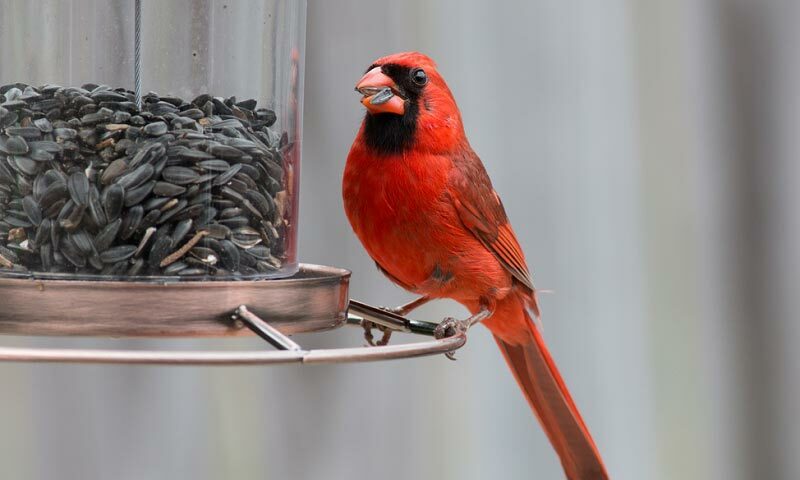 Place or hang them as far away from the bird feeders to ensure they won’t remember to jump or climb for more bird seeds after they are done feasting on their nuts. Seed Dispensers. Contrary to popular belief, squirrels have an important role in the preservation of nature. They don’t eat of the nuts or seeds they steal but they bury them on the ground. While they often forgot that they buried something or where did they bury their precious nuts, these will sprout after sometime, keeping your yard more green! Think of them as your furry gardeners. For Fun. Squirrels are probably one of the most hilarious creatures. They are really bold when they steal or when they devise ways to eat birdseed or even their own food at their feeding stations. With squirrels, you will have plenty of reason to laugh at every little acrobat show or mistakes they do. Perhaps the best question to ask is why are you buying a squirrel feeder? Knowing the benefits you are expecting from your feeder is the first step in knowing what to buy. Squirrels are sneaky. That’s a fact. They are fun. That’s a fact too! So whether you are trying to put a stop to their sneakiness or simply loving their hilarious behavior then it’s up to you. Either way, watching them scramble for seeds or nuts will surely make you smile. So what consideration do you have before buying a squirrel feeder? Tip #1. Consider the capacity. The number of furry friends that constantly visits you is a consideration. The more squirrels you have, the bigger you need. Open squirrel feeders such as the picnic squirrel feeder design might be a good idea. Tip #2. Design. The design is dependent on location, kinds of squirrels and the food you wish to give them. Corn and nuts are common food for squirrels. 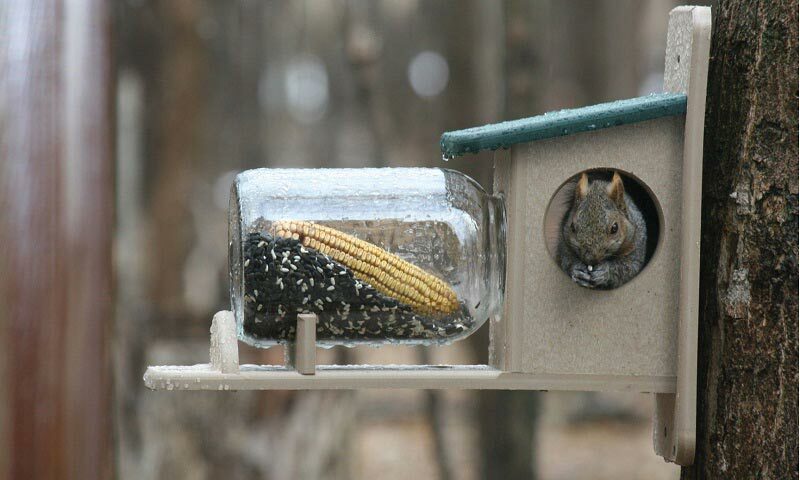 Nuts are better for enclosed squirrel feeder while corn cobs are great for open designed feeder. Tip #3. Cost. Squirrel feeders functions the same so cost consideration is important but not absolute. Funny corn cob feeders are simpler in design and are way cheaper than the regular metal ones. Tip #4. Location. Depending on where you intend to place it, the kind of squirrel feeder will follow. Metal feeders are better placed outdoors or by the trees while cedar wood feeders are best protected under a shade (even if under a tree). Tip #5. Durability. Before buying, consider the balance of aesthetic and strength. It is always better to invest into something that will last a long time. Nice, wooden squirrel feeders are great for decorations but may not be strong enough to withstand the chewing of some really angry and hungry squirrels. What is the best food for squirrels? Unlike birds that requires special food depending on their type, squirrels can eat practically anything. They are foragers for a reason. Still, feeding them right might be the best idea. For their food, Squirrel and Critter Blend Food made by Kaytee is surely going to be an awesome treat. It contains healthy corn as well as mixtures of seeds and nuts that squirrels will drool for. Whether you have a squirrel feeder or not, putting this food on a container will still attract the squirrels. They are one furry and active creatures anyway. This is rated five by expert birders. Where to buy a squirrel feeder? 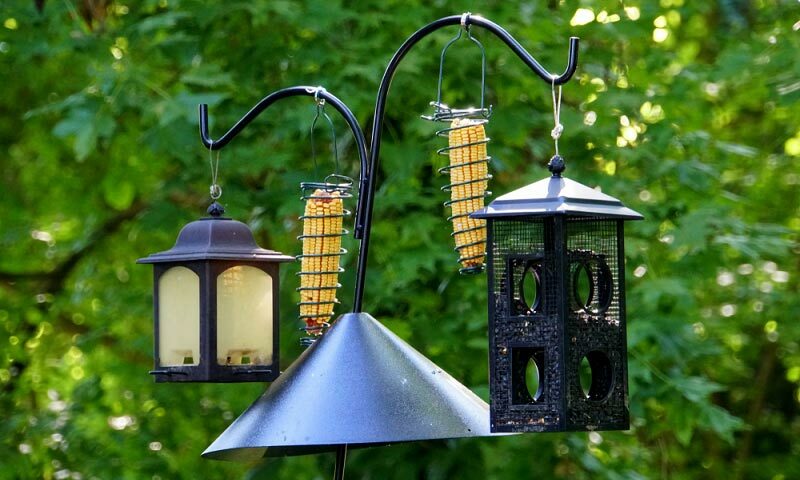 There might be more birders out there but squirrels feeders are very common too. The truth is that many birders tend to feed squirrels too, as a way to distract the squirrels from ransacking their bird feeders. 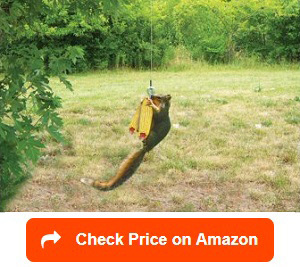 Fortunately, squirrel feeders can be bought online and offline. Ebay and Amazon are probably the best platform to buy feeders while Walmart and Lowe’s will give you the actual experience of touching and evaluating the feeder closely. Your local pet shops might have some pieces of squirrel feeder too. 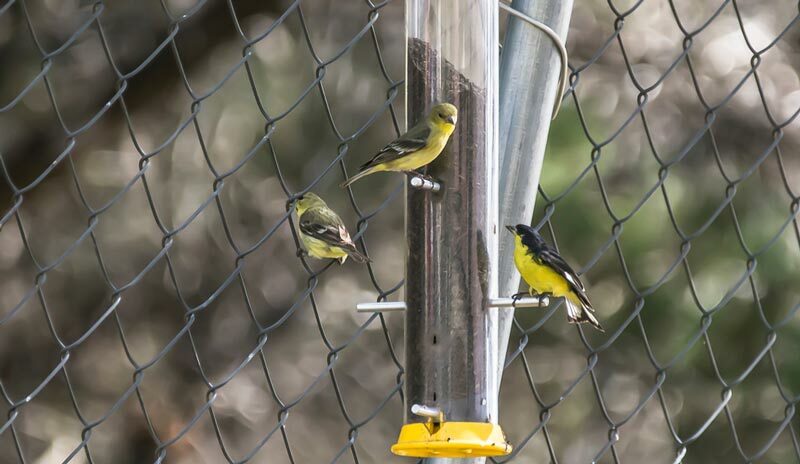 Researching for a proper feeder is important to know which one works best for your backyard. Going to your pet shop will ensure you get to ask questions. Where to place squirrel feeders? The success of your squirrel feeder (to distract or to provide entertainment) depends largely on location. Making sure that the squirrel will find it is the rule of the thumb. Location #1. Side walls of your house. Mounted feeders are great for some reasons: they are steady and handy. Corn cob squirrel feeders are great for side walls. This is probably one of the most popular type. Downside? They are semi-permanent. Location #2. Hanging feeders. These kinds are a bit more challenging. Unlike birds, squirrels have no wings which means that they need to climb, stand on a ledge or tree branch or hang onto something while feeding. If you get hanging feeders, make sure they have an actual ‘access’ to it – support ledge or fence wall. Location #3. Mount on a tree. Some feeders can be easily mounted on a tree. They are great for aesthetics. Unless the tree is near your house and you can still have fun watching them while holding your coffee mug in the morning then it is probably a good choice. Metal feeders are ideal for feeders on trees. How to make a squirrel feeder box? Sometimes, a store bought squirrel feeder just does not cut it. Since you have no control of size, materials used or design, making your own feeder might actually be a good idea. So here’s how. Decide for a suitable piece of wood. Think of the number of squirrels in your yard and decide whether you want to them one by one or all at once. The piece of wood will have to be adjusted in size. The wood serves as base and wall of the feeder. Hammer in a nail or a spike. The nails will serve as a holder of the corncob later. Depending on the size of your wood, you can approximate enough space to decide how many corns do you want to place at a time. Attach it. Nail in the wall portion of the feeder onto the wall or tree and skewer a ears of corn into the nail. Spacing it properly to allow multiple squirrels to access is a great idea. Monitor it closely. Like birds, squirrels are voracious eaters. They tend to feast on the food until it’s all gone. 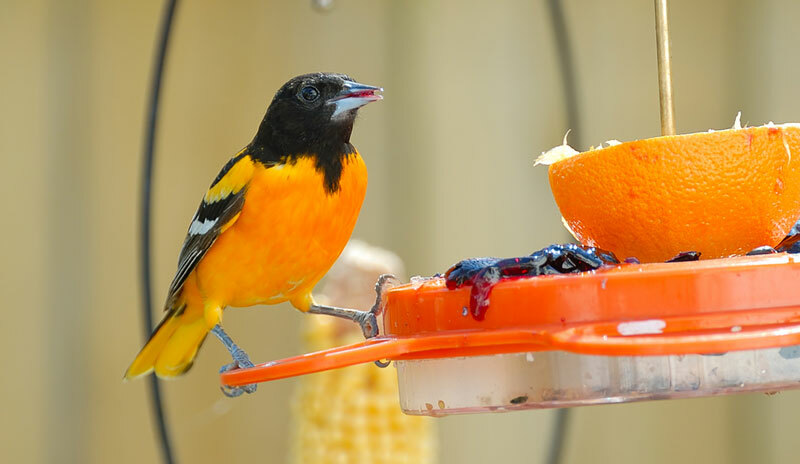 Monitoring that they have a steady supply of corn will ensure that they won’t go somewhere else (jump to bird feeders) to satisfy their hunger. How to make a squirrel feeder with a gallon jar? Finding the right squirrel feeder can be a tough one. So, if you can’t buy anything that suits your kind of feeder, making it is a good option. 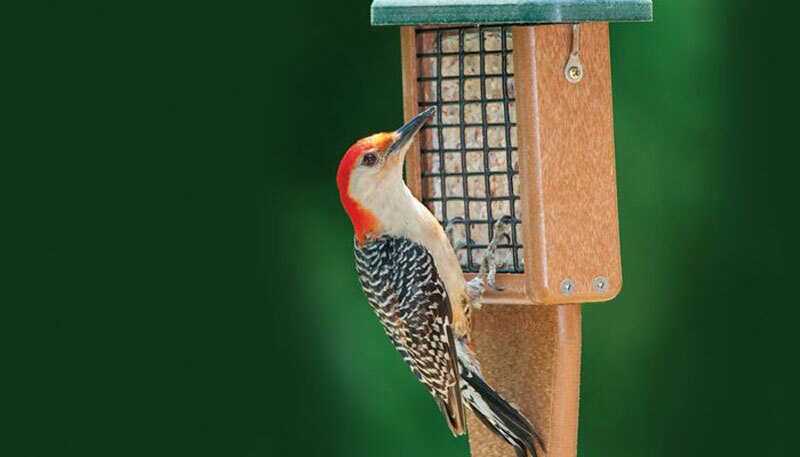 Build a feeder and incorporate a glass jar in it for a more sleek look. The main focus is on the jar so make sure to choose a jar big enough to accommodate a squirrel in. Choose a solid board, made of wood, and draw a circle with the same size as the jar’s mouth. Create sidewalls to your feeder box and provide holes in each side, big enough to let squirrels in, approximately ½ inch larger than the diameter of the jar. Mount all the cut up boards to a solid one, L-shape, for support. You can incorporate a small wood to support the base of the jar when it is placed horizontally. Fill the jar with peanuts and corn seeds for the squirrels to enjoy. Mount the whole set up to a wall or tree branch and enjoy watching the squirrels devour on the food you prepared. Feeding squirrels can actually be more fun than it sounds. While a lot of people thinks that they are a nuisance, having them around may actually be helpful in the long run. They are not just funny little furry animals but they also perform an important job in the life cycle of the garden. You may be surprised to find a corn growing in your garden courtesy of the squirrels burying seeds on the ground. Technically, you only need to provide them the best squirrel feeder you can find and they may actually grow their own food someday. Well, this is aside from the fact that they will stay away from your expensive bird feeders. Have fun!